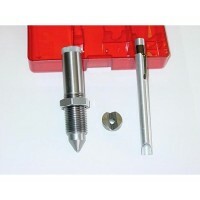 Lee Precision Single Cavity Round Ball Mold produces a .690 diameter ball, 493.14 grains. Most reloaders find working with cast iron blocks difficult. The Lee Bullet mold makes casting bullets fast and easy, and have tangential cut off which eliminates the objectional nib at the sprue. No more casting several bad bullets to get your first good one. By following the simple instructions, your first pour will be good in most cases. Includes handles and Sprue Plate. 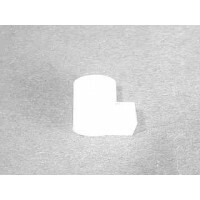 Bullet mold will be damaged & bullet will be poor quality unless lubricated. FS Reloading recommends Frankford Arsenal Drop out Bullet Mold Release. 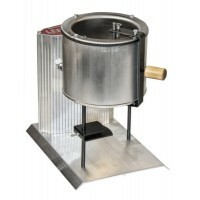 The Lee Precision Melter 110 V is a great tool for melting your metal. Heat control is simple and easy to use. For Load Data information try HODGDON Powder Co. The following lead information is from the Lee Precision Modern Reloading 2nd Edition Book, Pages 119 & 120. For best results, bullet strength must be matched to breech pressure. 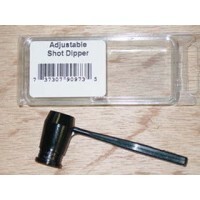 Black Powder guns require Pure Lead. Target handgun loads should use Lead with 1% Tin. 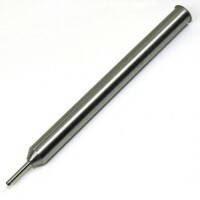 Tin makes bullet alloy more castable & harder. Lead with some wheel weights used for high pressure handguns. Use Wheel Weights for very light rifle loads. High Pressure Rifle loads use Linotype. Beware of Zinc! One part Zinc in 10,000 parts of Lead Alloy will ruin it's castability. WARNING: Melting lead and casting lead objects will expose you and others in the area to lead which is known to cause birth defects, other reproductive harm and cancer. Lead contamination in the air, dust and on your skin is invisible. Keep Children and pregnant women away during use and until clean-up is complete. Risk can be reduced, BUT NOT eliminated, with strong ventilation. Washing hands immediately after use of these products before eating or smoking. Careful cleaning of surfaces and floors with disposable wipes, after lead dust has settled. Use lead-specific cleaner with EDTA or high phosphate detergent (such as dishwasher detergent). Bag wipes for disposal. Prop 65: Warning: for the melters and bullet molds: WARNING: Melting and casting lead objects will expose you and others in the area to lead, which is known to the State of California to cause reproductive harm and cancer. For more information, go to www.P65Warnings.ca.gov. See instructions on Reducing Exposure supplied with product. 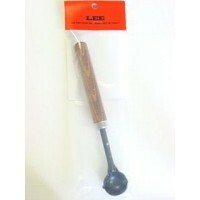 Lee Lead Ladle for bullet casting, handy for skimming and stirring metal. WARNING: Melting lead and .. 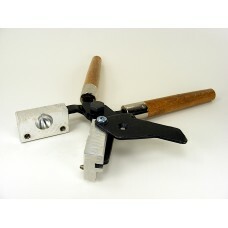 The Lee Precision Pro 4-20, 110 Volt with the Infinite Heat Control, is mounted away from the high h.. 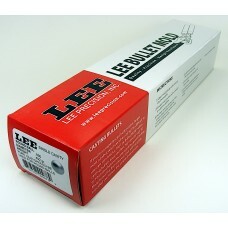 The Lee Precision Hardness Testing Kit will determine the exact Brinnell number of an alloy, in a si.. 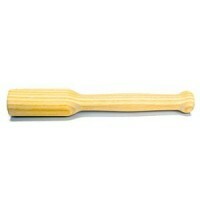 Features a heavy hardwood construction utilizing the same wood species baseball bats are made from. 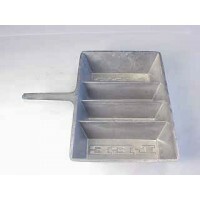 ..
Lee Precision Ingot Mold, made of rustproof aluminum mold casts 1/2 and 1 lb. ingots (2 of each). Pe.. 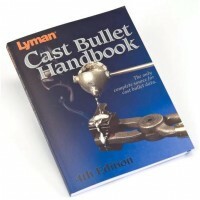 The most comprehensive cast bullet data manual using the latest and most available components for bu.. 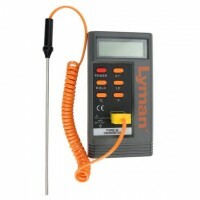 The Lyman Digital Lead Thermometer is a fast and accurate way to check the temperature of your casti..